I hadn’t intended on getting to the quarterbacks this early. I had intended to hold off until after the underclassmen had declared whether or not they would stay in school or enter the 2018 NFL Draft. However, a report Wednesday morning by ESPN’s Jordan Ranaan changed my plans. Ranaan reported that once the New York Giants’ season was all but lost — not coincidentally when Odell Beckham Jr. had his season ended by a broken ankle — John Mara instructed the scouting department to start taking a very close look at the top quarterbacks in the upcoming draft. All along we suspected, if not outright knew, that the quarterback position would be in play for the Giants with a high draft pick in April. Ranaan’s report confirms the fact that the Giants are seriously looking for their next quarterback. With that in mind, here is my (current) list of the top five quarterbacks in the 2018 draft. Mayfield had been creeping up my rankings since last season, and when a scout like Scot McCloughan names him as the top quarterback in the class, you take note. Mayfield has always been a blast to watch, but what sealed it for me was his performance in the rivalry game with Oklahoma State. While Oklahoma State doesn’t have much in the way of a defense, it still managed to stop Oklahoma’s running game and figure out left tackle Orlando Brown Jr., using the mammoth left tackle’s size against him. The Cowboys briefly stopped Oklahoma’s offense cold, then Mayfield did what he does and willed his team to victory. Mayfield has plenty of arm strength to drive every throw with accuracy, the mobility to escape pressure, extend plays, and make the defense pay for ignoring him. On the intangible side, Mayfield is a hyper-competitive and aggressive player and a leader on his team, with good field vision and command of his offense. And put simply, Baker Mayfield is a winner. Like Deshaun Watson, winning is all he knows how to do — he just has that air about him that as long as he is on the field for you, your team has a chance. He has also shown development in his mental processes since returning as a senior, showing greater understanding of defenses, patience, and decision making. He isn’t without warts, and listed at 6-foot-1 Mayfield will simply be too short for many teams. Not for me, though, and his mobility helps him find (or create) throwing lanes. His competitiveness and aggression do get him in trouble as he takes a sack or throws to the wrong team trying to make a big play when a modest one will do. But, like Eli Manning or Brett Favre, as long as that spark doesn’t get coached out of him the moments of sheer magic will far outweigh the face-palms. Interestingly, Mayfield started his college career at Texas Tech, where he won the starting job as a walk-on freshman (a first in major college football history). He later lost the starting job to now-Giants’ quarterback Davis Webb and transferred to Oklahoma. This is going to ruffle some feathers, but Jackson is probably the most exciting college quarterback since Mike Vick was terrorizing defenses at Virginia Tech. Insanely athletic, with the kind of twitch that is the envy of receivers, running backs, and defensive backs across the nation, Jackson has the ability to turn any snap into a highlight reel play. He also has one of the most impressive arms to come along in a long time, and can throw darts to any part of the field with a flick of the wrist — even without setting his base. Jackson is going to be a divisive, boom-or-bust prospect. He is whip-thin (though visibly thickening as he physically matures) and with his penchant for running the ball and playing outside of the pocket, that could result in injuries at the next level. But while the specter of Robert Griffin III raises its ugly head, Jackson’s extreme athleticism makes it tough for defenders to get a clear shot on him. Also of concern is the potential learning curve coming in to an NFL offense. While college concepts are making their way into the NFL, Jackson would still probably be best served by going to a team with a flexible offense that caters to his strengths and can grow with him. It is worth noting that we know that the Giants have had credentialed scouts at two of Louisville’s games thus far this season. The presumptive top QB on many lists (including ESPN’s), personally, I think Darnold should stay in school. Should he come out at the end of this season, he would have less than two seasons of starting experience under his belt. I will always say that quarterbacks, in particular, should stay in school as long as they can — the greater maturity and experience are assets going into the NFL. Darnold is a red-shirt sophomore, and to paraphrase my mother, he isn’t done cooking yet. However, the upside with Darnold is impressive. He has the prototypical build, athleticism, and arm strength that will get NFL evaluators drooling. Darnold is capable of absolutely incandescent play, such as in the 2017 Rose Bowl, but his decision making is questionable. 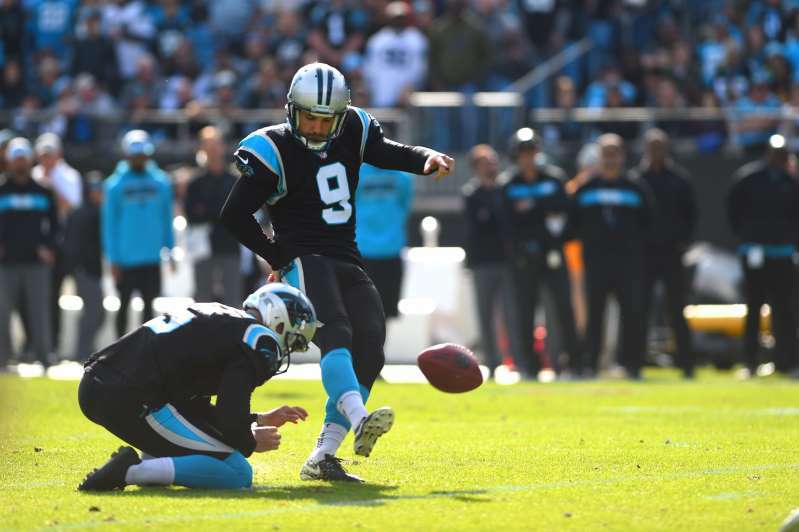 He has 11 interceptions to 22 touchdowns on the season, completing 63 percent of his passes, down from 67 percent (31 TDs to 9 INTs) the year before. Twitter Lane Kiffin is the best Lane Kiffin, because there’s always something happening with Twitter Lane Kiffin. It was as though the social media fishbowl was made specifically for the Florida Atlantic coach. Among the things he does best is troll Tennessee fans and boast about absurd box scores (and then tweet stories about him posting absurd box scores). Tweeting at (i.e. recruiting) Heisman winners is a new thing, however. 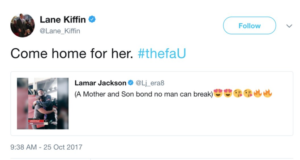 On Wednesday morning, Kiffin quote tweeted two tweets from Louisville quarterback Lamar Jackson, both of which strongly suggested that Jackson come to Florida Atlantic (or, as he puts it, #thefaU). One tweet in particular referenced Jackson’s mother. Jackson, of course, hails from Boynton Beach, Florida, which is just north of Boca Raton where FAU is located. As you could infer from the screenshots, the tweets have since been deleted. Purposefully or not — and you could certainly lean towards purposefully — that looks an awful lot like Kiffin is recruiting Jackson to FAU, which, of course, would be a no-no. Then again, Kiffin has taken in his share of transfer quarterbacks in the past. Most famously was John Franklin III, formerly of Auburn and East Mississippi Community College. 247Sports has released its second annual preseason All-American Team, opening up voting to its vast network of team-based publishers and reporters. The team is listed below in the form of three graphics, weaved in with our five biggest takeaways. If you read the replies to any tweet about Saquon Barkley or Derrius Guice, you’re guaranteed to find LSU and Penn State fans duking it out over which running back is better. Last year, we saw a similar dynamic between Myles Garrett and Derek Barnett and it appears as though Barkley-Guice is going to be one of the hottest positional supremacy debates of 2017. Unlike last year, when there were five or so running backs with legitimate claims to being the best back in the country, Barkley and Guice stand head and shoulders above peers. The only other backs in the country to receive votes in this poll were Nick Chubb and Royce Freeman. Guice received the most votes for an offensive player, making him the second-most popular overall choice after Derwin James. 2) We have an upset at QB! Lamar Jackson is the defending Heisman winner and just last week was named the best player in the country per our College Top247 rankings. But he’ll have to settle for second-team honors for our All-American team, which is selected by a wider pool of voters, who decided Darnold — by a margin of one vote — was the most deserving quarterback. Jackson’s stats were more absurd in 2016 (51 total TDs, 5,114 total yards) but Darnold was close as a passer: More scores, better completion percentage, better QBR, better QB rating, and just below Jackson in yards-per-attempt and interception percentage. Darnold finished the season better, making the Rose Bowl his personal coming-out party — 453 yards, five touchdowns and one of the prettiest passes you’ll ever see — while Jackson sputtered down the stretch. Projecting towards the coming season, both lose a good amount in the passing game, though Darnold’s USC Trojans reload with a higher-rated incoming crop of receivers than Louisville. Given that plus his year-end trajectory, it’s totally reasonable to have Darnold as the first-team quarterback. Lamar Jackson took home the Heisman Trophy last year, but he’s not receiving as much buzz as some of the other top QB prospects heading into the 2017 season. He is college football’s most electric playmaker and Louisville is capable of knocking off any team in the country when he’s on his game. I recently had a chance to study three of his games from last season. Here’s my scouting report. 2016 statistics: 230-of-409 (56 percent) for 3,543 yards, 30 TDs, 9 INTs. 260 carries for 1,571 yards (6.0 average), 21 TDs. Where he needs to improve: Jackson has ways to go to develop into a consistently accurate passer. He has a bad habit of locking out his front leg, screwing himself into the ground and falling off throws. This dramatically affects his ball placement and touch. He flashes the ability to work to Nos. 2-3 in his progression, but usually if No. 1 isn’t there, he looks to run. In his defense, the pass protection at Louisville was terrible at times (see Houston game). Lamar Jackson, a sophomore quarterback at the University of Louisville, has won the Heisman Trophy, given to the most outstanding player in college football. Wearing a school-color red coat with a black lapel, Jackson seemed a bit overwhelmed by winning. “Oh my God,” he said several times. Among those he thanked were his teammates, saying the award was for all of them. Jackson told reporters he had a speech written but thanked his fellow players, coaches and mom from his heart. Jackson is the first player in major college football history with at least 3,300 passing yards and 1,500 rushing yards in a season. He was second in the nation in points responsible per game (25.7). Clemson quarterback Deshaun Watson finished second in the Heisman voting, with 1,524 points. Jackson’s winning total was 2,144. He received 526 of 929 first-place votes. Lamar Jackson and Deshaun Watson are headed to New York as Heisman Trophy finalists, the top two players in the ACC now vying to be crowned the best player in the entire nation. Whether you are a Louisville fan or a Clemson fan, or just a college football fan, it is worth taking a step back to truly appreciate this moment. Only once before has the ACC had two finalists in New York in the same year: In 2013, Florida State quarterback Jameis Winston won, while Boston College running back Andre Williams finished fourth. Never before has the ACC had two players finish 1-2 in Heisman voting. So, yes, this is a big moment for the players and their schools. But it is also a big moment for the ACC, giving the league some well-deserved bragging rights after so many lean years when it was difficult to come up with even one worthy Heisman contender, let alone two. As football programs have gotten better, recruiting has gotten better and coaching hires have gotten better, so, too, have the players in the conference. The successes have not been contained to just one school, either. The recent finalists have represented four programs. When the season started, though, nobody envisioned it would unfold in quite this way. Not even Jackson, who was entering his first year as the full-time starter. “I really didn’t even think about any awards,” Jackson said over the weekend in Orlando, where he picked up his ACC Player of the Year award. Watson had the name, reputation, expectations and “Heisman favorite” scrawled next to his name. He was the one chosen to repeat as ACC Player of the Year in preseason polling among media members in July, picking up 164 out of 191 votes. Jackson got two. But Clemson started off with some closer-than-expected games, and Watson did not put up the dazzling numbers many had come to expect. By Week 3, he admitted he needed to have more fun on the field and apologized for bringing negative energy to the team. Jackson, meanwhile, captivated the country with one touchdown binge after another and one highlight reel play after another – from the ‘Lamar Leap’ to making Florida State look like Ferris State in a 63-20 win. No. 3 Louisville saw its College Football Playoff chances severely damaged if not outright dashed with a stunning 36-10 loss at Houston on Thursday night. The Cardinals (9-2), who are No. 5 in the CFP rankings, had a chance to impress the selection committee and the nation with a nationally televised game against a quality opponent. Instead, the Cardinals laid an egg. Louisville fumbled the opening kickoff return to set up a quick Houston touchdown — one of three lost fumbles by the Cards — and fell behind 31-0 by halftime. Houston’s defensive front outplayed U of L’s offensive line all night and kept quarterback Lamar Jackson under duress. Jackson was sacked a season-high 11 times, and the Cards were flagged for a season-high 15 penalties. Jackson, whose Heisman Trophy candidacy had by far its roughest night yet, completed 20 of 43 passes for 211 yards and a touchdown and ran for just 33 yards on 25 carries. 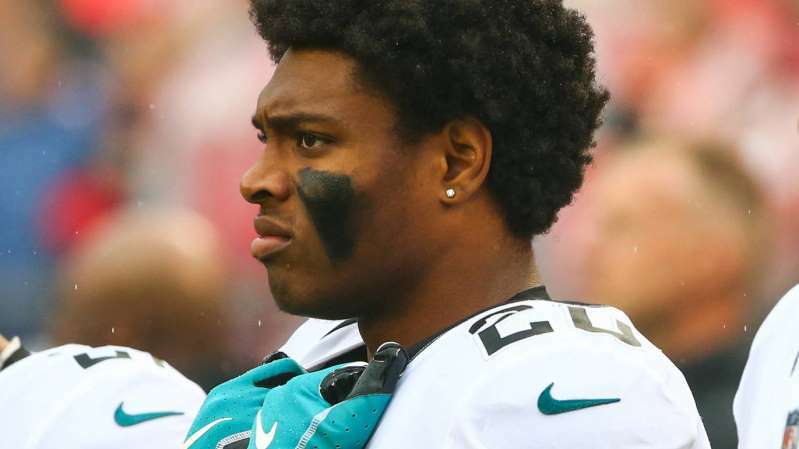 His rushing total included 83 yards lost on sacks, including one for a safety late in the game when Jackson was called for intentional grounding in the end zone. Houston’s own top-notch quarterback, Greg Ward, was 25-for-44 for 233 yards and two TDs through the air. The Cougars’ fans rushed the field after the game. Louisville figures to fall in the next set of playoff rankings, and the Cards probably will need mass chaos from the other teams in the top 10 in the coming weeks to find its way back near the top four. The game started in terrible fashion for Louisville. Malik Williams fumbled the opening kickoff over the Cougars at the Cards’ 13-yard line, and Greg Ward threw a touchdown pass to Duke Catalon on Houston’s first play just 11 seconds into the game. Don’t howl at the College Football Playoff committee if you disagree with the Number 5 ranking they assigned the University of Louisville football team Tuesday night. 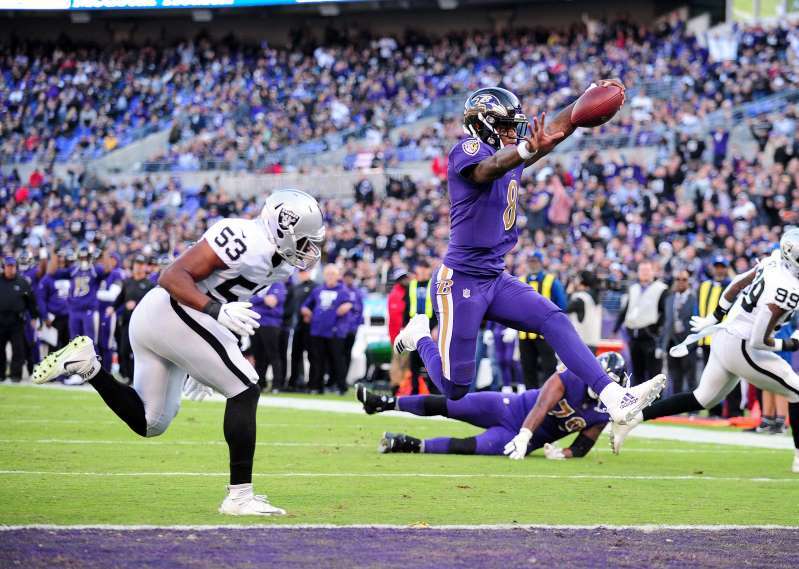 Don’t tweet your displeasure the way quarterback Lamar Jackson did shortly after 9:30 p.m. Blame Jimbo Fisher and Florida State. Blame David Cutcliffe and Duke. Blame Dave Doeren and North Carolina State. Blame the ACC office for not matching U of L against better teams than Duke and Virginia from the Atlantic Division. Next week you might be able to add Tom Herman and Houston to the list of issues. There’s plenty of debate about whether Bobby Petrino’s 9-1 U of L team should be ranked among the four teams considered playoff worthy (with 3 weekends to go, I must remind you). There is no debate about why the Cardinals are tucked behind Ohio State (No. 2), Michigan (No. 3) and Clemson (No. 4), the three one-loss teams between top-ranked Alabama and Louisville. The teams Louisville has played this season simply don’t provide the Cardinals with enough reflected glory. Ohio State has two wins against teams ranked in the Top 10 by the committee. That would be Wisconsin and Oklahoma. Michigan has three of those victories — Wisconsin, Penn State and Colorado. Clemson has three wins against Top 17 teams — Louisville (head-to-head really matters here), Auburn (15) and Florida State (17). Louisville has one. It was that spectacular 63-20 victory against Florida State in mid-September that made local football fans believe that anything was possible for Jackson, Brandon Radcliff, Keith Kelsey, Jaire Alexander and the rest of the Cardinals. But it was only one win. Then, Florida State backed that up with losses to North Carolina and Clemson and tumbled out of the national conversation. Louisville really didn’t need that. Louisville has added one victory against a team with a winning record — Wake Forest, the team the Cardinals pounded in the fourth quarter Saturday night. The voters in the Associated Press Top 25 are not bothered by that. They ranked the Cardinals third this week. The coaches who vote in the USA Today Top 25 are not bothered by that. They also ranked the Cardinals third this week. ESPN college football analyst Kirk Herbstreit is not bothered by that. He has touted the Cardinals all season. Herbstreit did it again Tuesday night, sharing his opinion that he believes that Cardinals are one of three teams that could compete with Alabama.